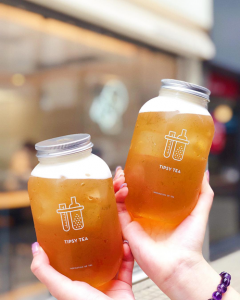 New Chinese-style tea drinks use high quality ingredients to introduce premiumisation to the tea drinks category, and with this, has attracted much attention in recent years—making headlines all over the world and flooding social media channels. Championed by Heytea and Nayuki in China, the new Chinese-style tea drink appeals to young consumers with the introduction of new flavours, on top of using high quality ingredients. 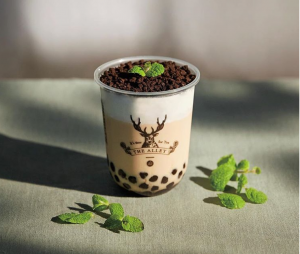 It’s a far cry from the traditional tea drink, originating from street milk tea which relied on low quality ingredients and artificial flavourings. In response to the premiumisation trend, which sees Chinese consumers on the lookout for better quality and healthier products—a new style of tea beverage is emerging. Premium tea, fresh milk and fresh fruits are being used, creating the impression of it being trendy and premium. 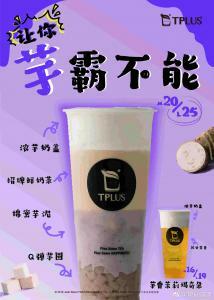 The retail price has doubled or even tripled the traditional milk tea price, coming at around RMB20-30 per drink. The market is growing quickly and being backed by investors. Heytea and Nayuki, for instance, have expanded beyond China, both opening their first overseas stores in Singapore in late 2018. Fashionable campaigns play a pivotal role in helping new tea drink launches go viral, especially among younger consumers who tend to be swayed by visually appealing appearances. According to Mintel’s Global Food & Drink 2016 Trend ‘Eat With Your Eyes’, aesthetic appeal helps products stand out or make the eating or drinking experience more enjoyable, and can also be a powerful tool when it comes to social media marketing. In fact, Chinese-style tea drinks are tapping into this trend by launching products in a kaleidoscope of eye-catching colours and textures—leveraging the social media channel to create a buzz among consumers. This product uses Oreo crumbles and milk cream as its topping to make it look like a potted plant, introducing an element of novelty. This product uses taro-flavoured milk cap, freshly made milk tea, mashed taro and taro dumplings that are all put into layers to create a rich flavour and appealing appearance. 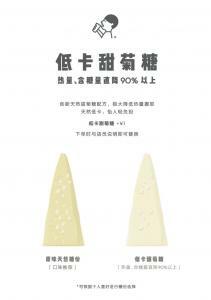 Product innovation is crucial for new Chinese-style tea drink brands. Fierce competition among leading players is fuelling a fast pace of innovation in the industry, with companies continually launching new flavours and varieties to stimulate impulse purchasing among Chinese consumers. Marketing and social media campaigns around the launch of new varieties help to generate publicity and drive brand awareness. In addition, consumers are highly receptive to the steady stream of product launches from Chinese-style tea drink brands. Indeed, Mintel research reveals that more than half of Chinese tea drinking consumers agree that a wide variety of choices will trigger purchase, while almost two-thirds consider unique flavours as a criteria to paying a premium. This drink has infused nitrogen into its tea base, which potentially reduces the bitterness and brings out an aroma and smooth taste. Heytea is allowing consumers to replace sugar with stevia for an additional RMB1, significantly reducing calorie intake and potentially making the tea drink healthier.